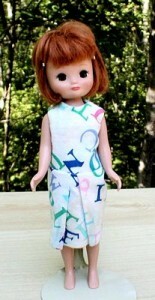 I’m amused I post a 16″ pattern and am asked how can I see to sew that small? 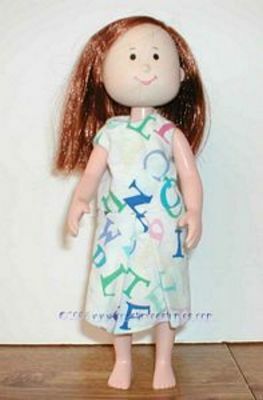 The answer is lots of light, magnifying glass and zooms on the computer along with strained 20/20 and mild glasses! 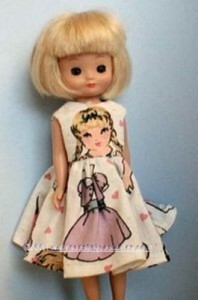 (as of 2012 it’s on longer mild glasses but bifocals and several OttLite!) 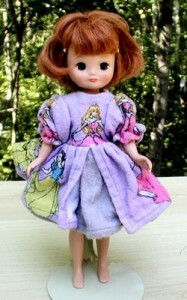 Honestly, I work even smaller than Brenda Starr; I work in 1/2″ scale too. 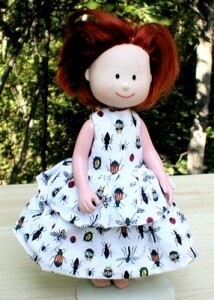 This means my smallest doll I’ve sewn for is a whopping 1/2″ tall! 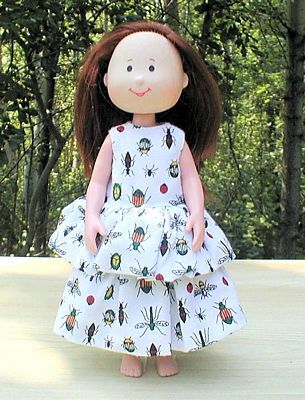 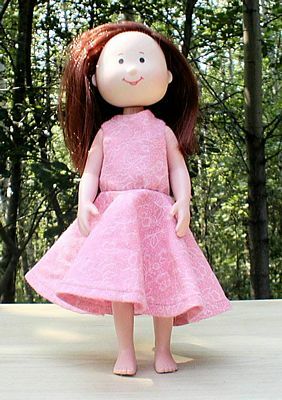 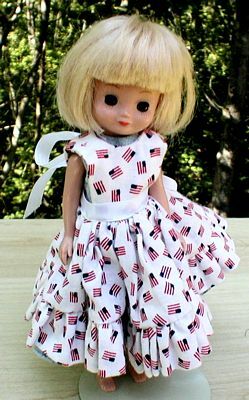 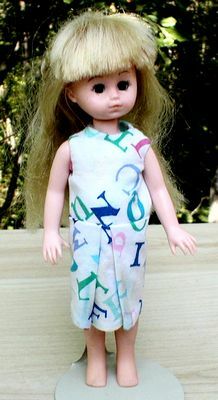 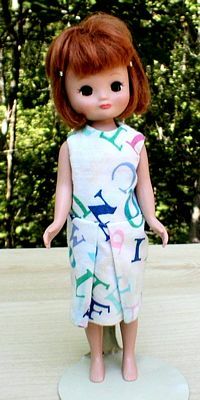 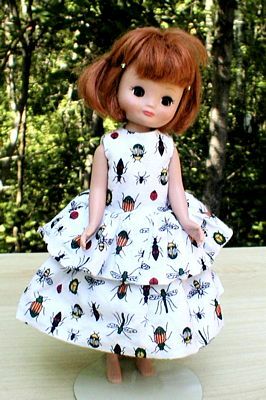 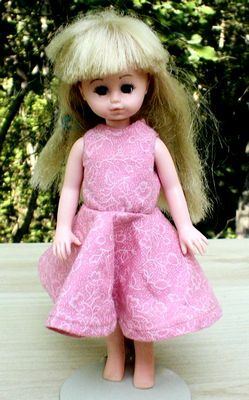 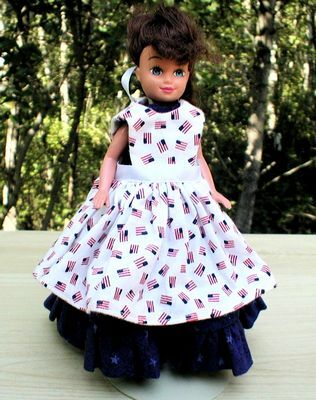 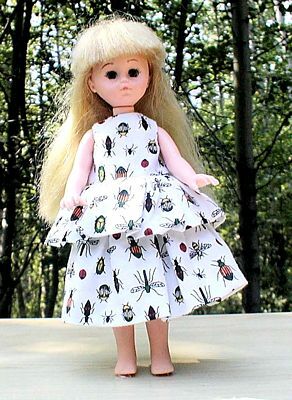 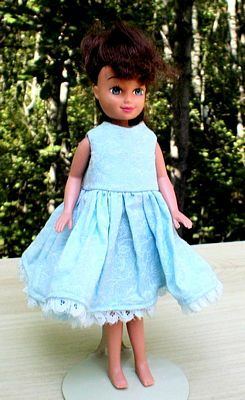 I started in 1″ scale making patterns for my lady doll Katherine, from there I made a smocked dress pattern for a 1″ baby I named after my then 1 yr now 13 yr old daughter Seraphine. 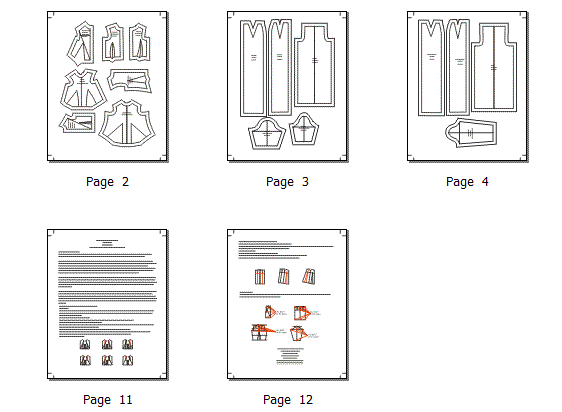 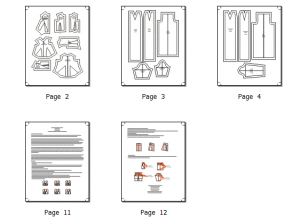 I was hooked on drafting in miniature! I have even written a book on it and taught online & face-to-face classes locally. 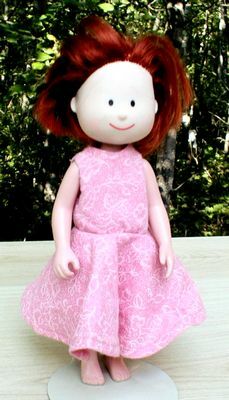 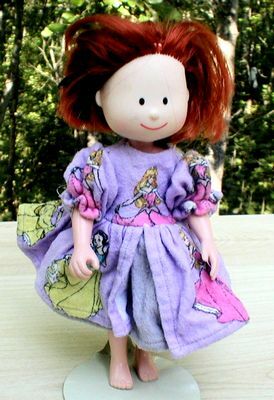 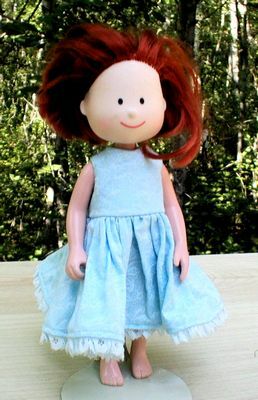 I branched out to larger dolls that my daughter could play with such as Madeline and Tiny Betsy both of which are in great condition despite being played with! 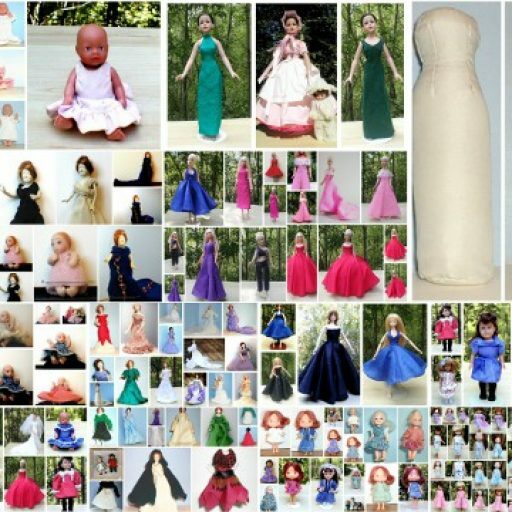 Beyond that, I’ve done some things for various fashion dolls from Tiny Kitty to Kitty Collier and several dolls in between. 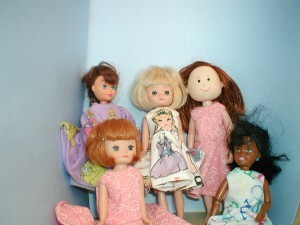 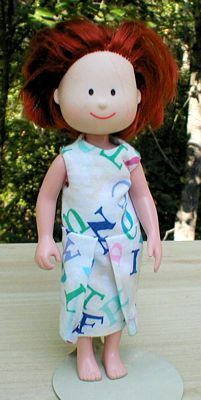 I love drafting for the various size dolls and occasionally I get to play with them more. This summer I hope to get into my backyard and start taking photos of the dresses that will improve the look and feel of the main site along with allow me to share what I’ve created over the years more clearly. 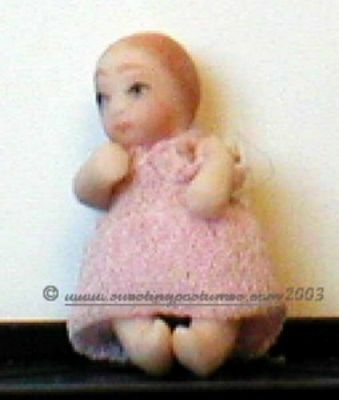 The smallest dolls are the hardest for me to photograph but I have a better camera and should be able to get better photos. 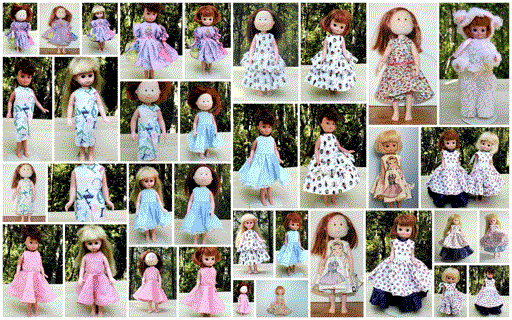 Beyond that I’ll share some of the patterns that I’ve completed. 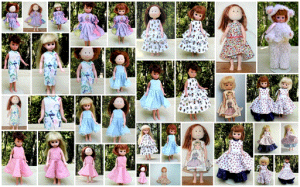 How do I do all this… very carefully, patiently and with a lot of trial and error on the sewing construction end of things. The hardest part is writing up how to put the outfits together so someone else can make the outfit. 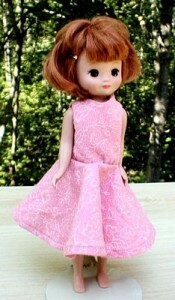 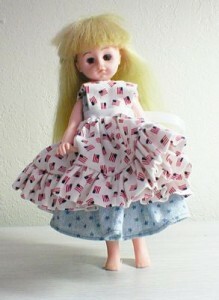 Tiny Betsy is now one of my favorite dolls to draft and dress. 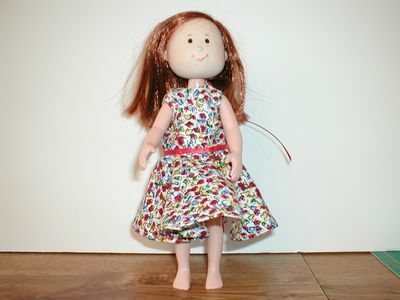 She is small enough to only take a fat quarter of fabric for a dress but large enough that she is still easy to sew for. 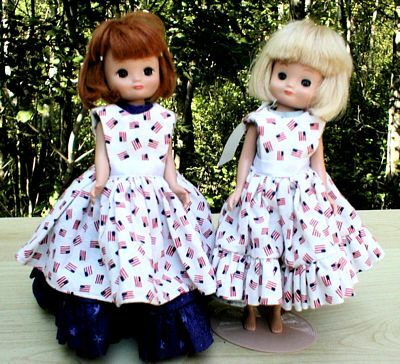 My daughter was devastated that Betsy had to go visit other people and so at birthday time I found and adopted the two Betsys we now have. Why two dolls? Well of course it was because I guessed that she and I would argue over the doll if there was only one…. over the years I’ve been right about that and neither one of us even remembers who had which doll to start and happily dress both dolls! 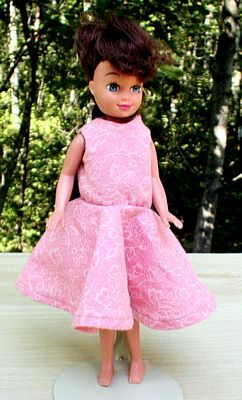 That year Betsy got several dresses for Christmas and that is the main reason she has so many patterns. What a sweet little doll! 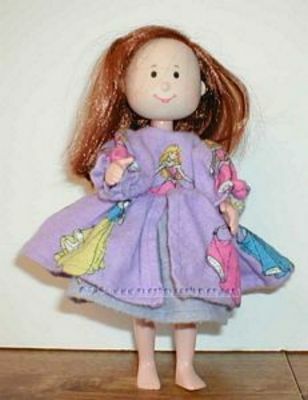 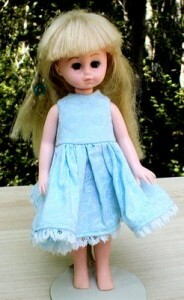 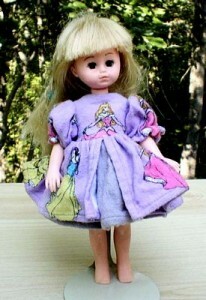 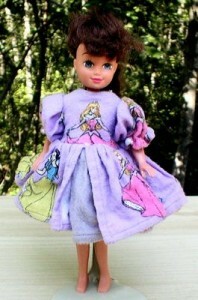 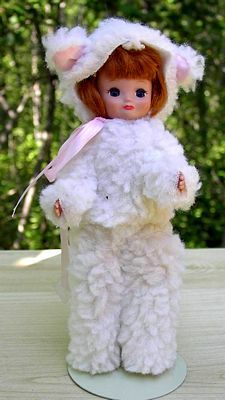 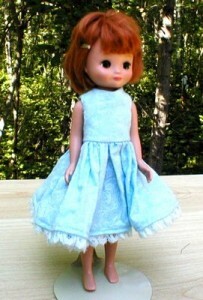 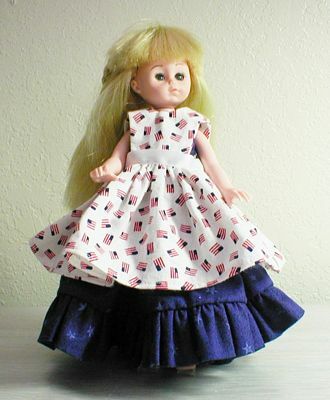 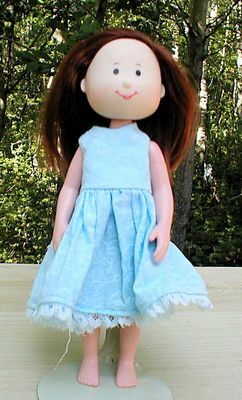 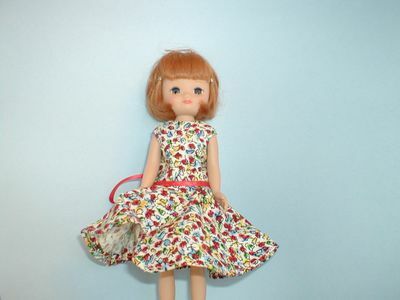 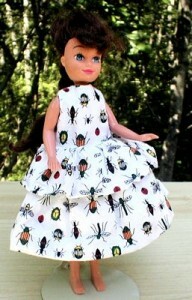 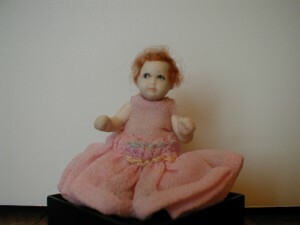 Sera was also very fond of her 18″ doll and she had a duplicate dress as well. 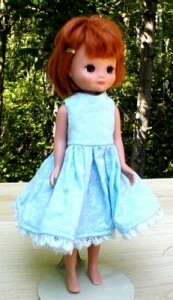 The little dark haired Betsy was our visitor.